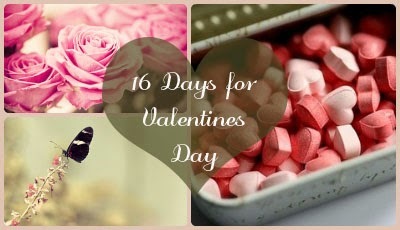 Valentine’s Day is around the corner and that’s great news for online retailers. Consumer spending is on the rise and there are endless opportunities to capitalize on this holiday with sweet and clever marketing campaigns. 29% — The percentage of people who will type a romantic text message. These statistics can help you formulate the following assumptions: People are spending money, sometimes a huge chunk, on Valentine’s Day. Avoid heartbreaking sales and make your revenues extra sweet. 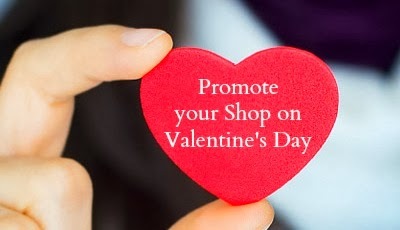 To start you on your motivated marketing strategy, we’ve put together a list of creative ways to promote your shop for Valentine’s Day. This is a great opportunity to share unique and romantic ideas to celebrate the holiday and pop up on every sweetheart’s search engine results. Write blog posts and create landing pages for topics like “perfect gift idea for him and her” and “the best Valentine’s Day surprises.”. This is an absolute must-have and you have to promote it! Share your guaranteed shipping promise all over your shop. Luckily this year Valentine’s Day falls on a Friday which means you could have items shipping as late as Wednesday the 12th or even the 13th if you’re offering overnight shipping. Tons of shoppers will be ordering their gifts online and sending them directly to their Valentine. Promote free gift wrapping and the option to include a personalized note with their purchases. Customers will appreciate the extra touch. A perfect advertising medium! Promote your products, blog posts or even share customer love stories. Facebook, Twitter, Instagram, Google Plus and Pinterest are perfect social media outlets to capitalize on trending searches and hashtags for the lovebirds. Change the avatar and the banner of your shop to a Valentine's Day one. Do it not just for this Holiday season – but for EVERY holiday that comes a long. This idea is not only easy, but fun and will bring a smile to your visitors’ faces. Extra tip: Do you use Twitter? Then take it one step further, and decorate your Twitter background, too. Wishing you lots of love this Valentine season! Please share your favorite Valentine ideas below.